Like all mammals, human babies drink their mother’s milk. But humans are the only mammals to continue drinking milk – from other animals – for the rest of their lives. That is until recently when, with the growing popularity of veganism, the higher incidence of lactose intolerance and concern over antibiotics passed on in cow milk, plant-based milk beverages have grown in popularity. 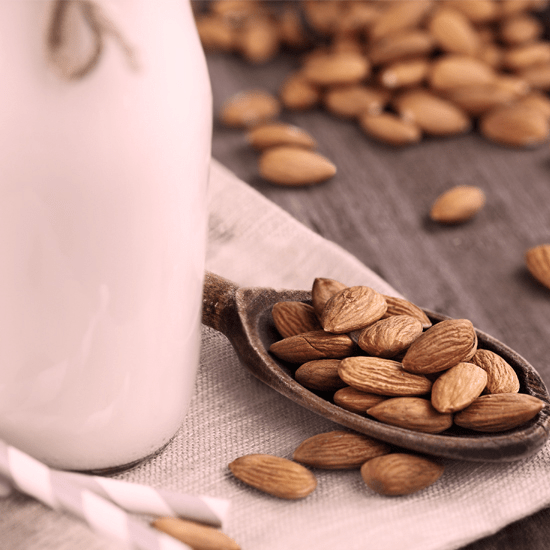 Almond milk: One of the first milky alternatives widely available, almond milk has been around since the Middle Ages. It’s low in calories, high in vitamins and minerals, and has the highest levels of calcium among the nut family. Where it falls short is in protein – almond milk only has about one-eighth of the protein cow’s milk does – and, depending on the brand you buy, it can be quite watery. Soy milk: It’s the least processed of all dairy-alternatives, highest in protein and low in saturated fat. The downside of soy milk? It may cause inflammation, upset your stomach or give you gas. By the way, soy milk’s reputation for increasing estrogen in men is not backed up by science. Cashew milk: This milk provides a good source of fiber, antioxidants, copper and magnesium. It’s also pretty low in protein, so you’ll want to make sure you get needed protein from other sources. Its thick texture may take some getting used to. Hemp milk: While it is made from cannabis, don’t expect to get high from it – hemp milk is made from the plant’s seeds, not its leaves. Hemp milk is nutty tasting, rich in omega-3 fatty acids and a good source of protein. Unlike soy milk, it doesn’t contain the sugars that can cause gas. Any cons? It’s low in calcium so you’ll want to supplement your diet to keep your bones healthy – and it can be more expensive than other milk alternatives. Coconut milk: Naturally sweet, this milk is high in healthy fat, vitamins and potassium. Stick with coconut milk sold in cartons, the varieties sold in cans tend to be high in calories, often from high amounts of saturated fats. Oat milk: A relatively new kid of the block, oat milk tends to be cheaper than many nut milks and it may be more environmentally friendly. It has a creamier texture than many nut milks too and it’s a good choice for people who are lactose-intolerant, gluten-intolerant or allergic to nuts. It’s also high in fiber, high in carbohydrates and, while it has less protein than cow’s milk, it’s has more than milk from almonds, cashews and coconuts. Which tastes the best? Our vote goes to oat milk but you should test them out for yourself. What’s your favorite? Share your experiences with the Shop Talk blog forum now! Does a new year mean a new career? I have never been able to drink cow’s milk only goats. I must run in the family as on my mother’s side the first born daughter gets it. Grandma, mother, me and my daughter all have to drink goats milk. I have tried some of the others out there, Soy I found if you get Horizon Organic it will take a way night sweats and hot flashes for those of us in menopause. Almond is alright but doesn’t sit right with my intestines since I had 7 inches of the large removed. Cashew for me takes some getting used to but I will drink it now and then. Haven’t tried the hemp, coconut or oat yet. I mostly use lactaid free since my uncle passed in the 90’s and can’t supply the goat milk anymore. Mom uses silk almond and I don’t know what daughter uses anymore. She may be like me staying away from it until these alternatives came out. I don’t drink milk at all. I cook with it once in a while. I use real skim milk. I have never tried any of those milks on that list,but maybe I should try some of the healither ones.I might be surprised and like some of them. Look down at your plate. It’s a plant. It’s an animal. It’s superfoods!